Can Apple be sued by Piccaso? 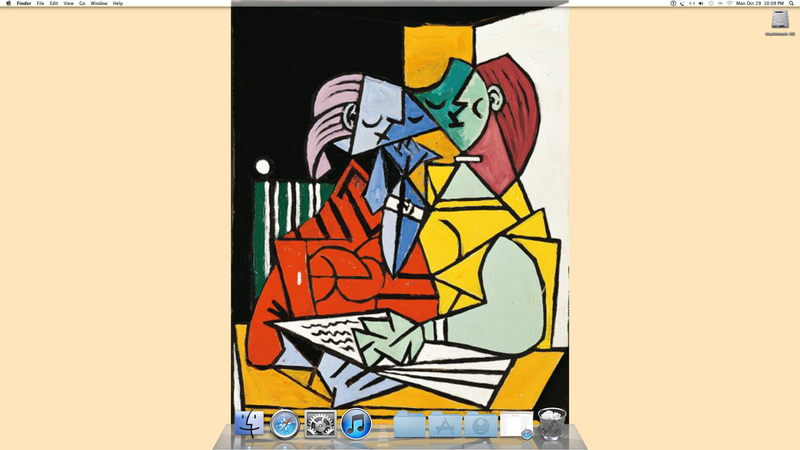 Picasso's Two Characters as my Desktop Wallpaper. Do we call this inspired or pure coincidence?